Quiet Anchorage, Virginia, is like any other peaceful small town in America. Until the murder of Jake Robbins rocks Quiet Anchorage, and his fiancée Megan Connors is charged for it. Her elderly aunts, the tenacious Isabel and Alma Trumbo, then decide it's left up to them to do some shrewd detective work to unravel the knotty mystery, identify the true killer, and clear Megan's good name. 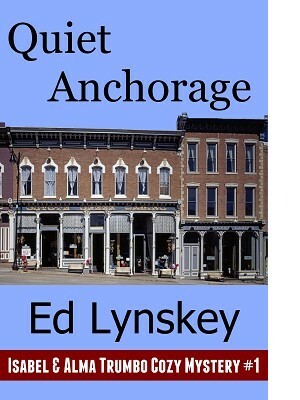 Quiet Anchorage offers a pleasant small town setting, credible characters, droll dialogue, good-natured humor, and intriguing subplots. This cozy mystery follows in the tradition of lady amateur sleuths such as Anne George's Southern Sisters Mysteries.